Berlin (formerly Bode-Museum, deposit, no. 1935). PROVENANCE: Acquired in 1925 as a gift from L. Grassi, Florence. Illus… Berlin, 1930, Part 2, 76, and Berlin cat., 1931, 404, no. 1935, as Rosso (from a clipping and note at the Frick Art Reference Library, New York). Kusenberg, 1931, 129, 249, as not by Rosso. Venturi, IX, 5, 1932, 202, 204, Fig. 112, 230, as Rosso. Becherucci, 1944 (1949), 28, as Rosso of uncertain date. Barocchi, 1950, 87 and n. 1, Fig. 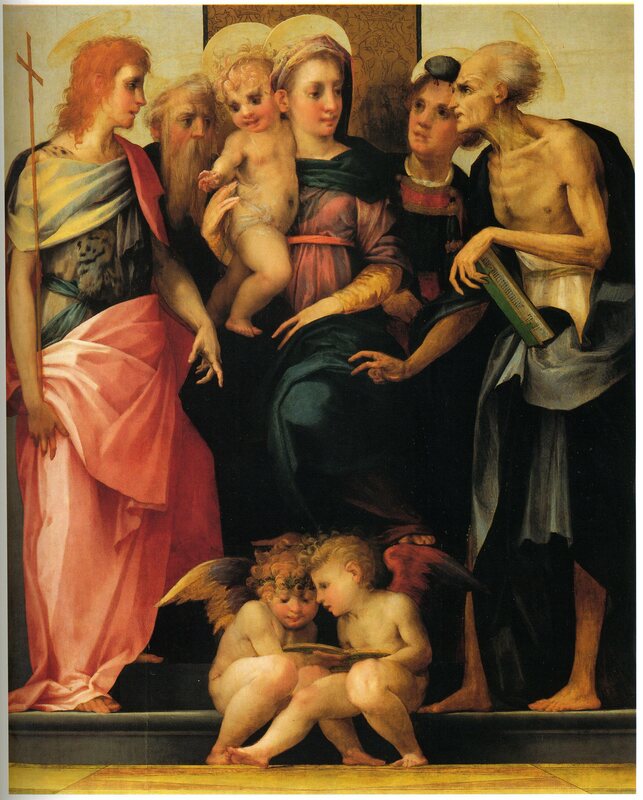 59, as not by Rosso, but in certain passages close to the S. Maria Nuova Altarpiece. Hartt, 1952, 64, as not by Rosso. Barocchi, 1958, 237, as Rosso, or, if not original, derived from a prototype by him. Berenson, 1963, I, 194, as a copy. 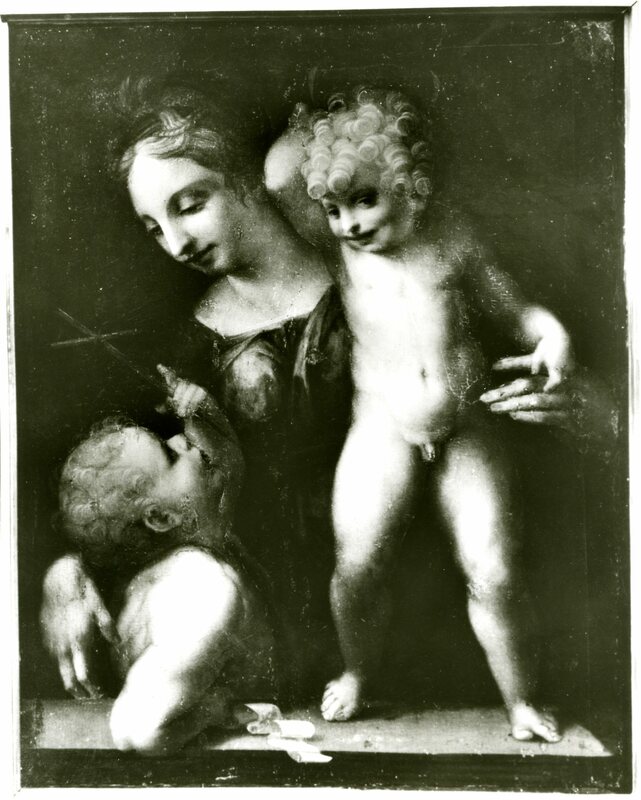 Ciardi and Mugnaini, 1991, 8, Fig., 21, as after Rosso or derived from one or more lost autograph works by him, the figure of St. John similar to the angel at the bottom of the Madonna in Glory in St. Petersburg [RP.23]. Franklin, 1994, 118, 119, Pl. 86, 282, n. 115, as formerly Berlin, Kaiser Friedrich Museum, as a destroyed (?) 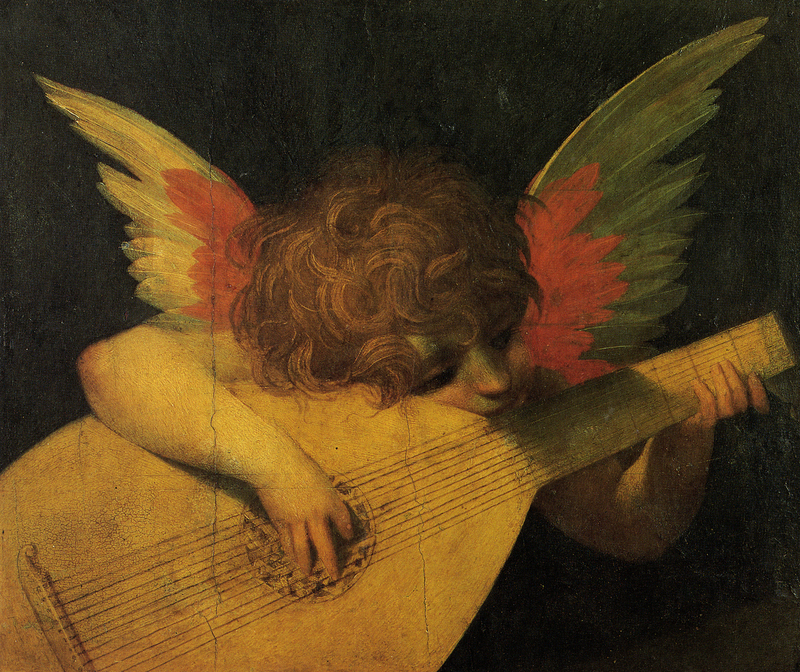 copy, apparently totally repainted, of Rosso’s picture in a private collection in Norway (see below). 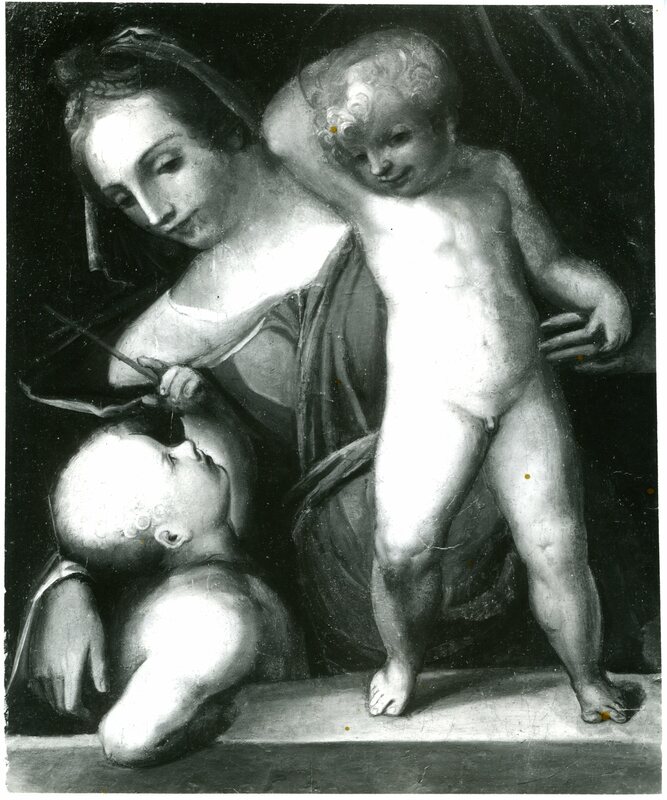 Norway, Private Collection, photograph at the Kunsthistorisches Institut in Florence, with note: canvas, 49 x 63 (Fig.RP.3, Norway). 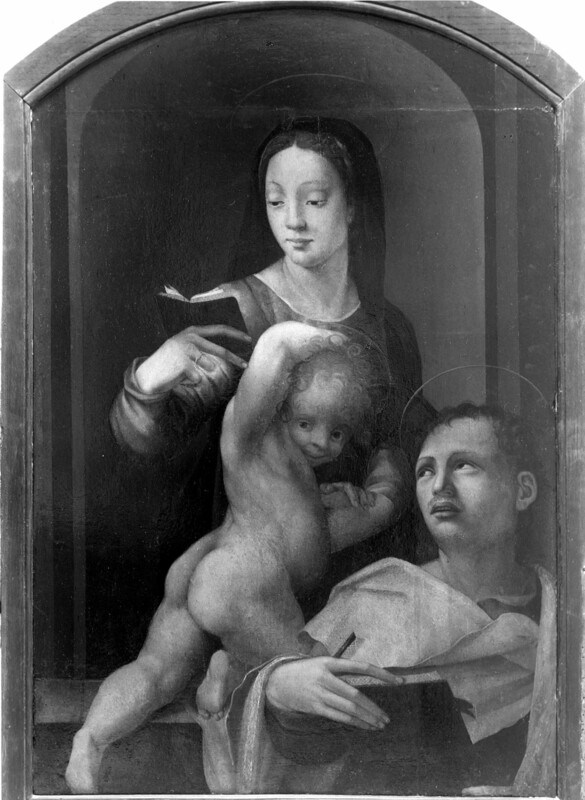 This picture shows a small uninscribed curled strip of paper on the ledge just to the right of Saint John’s right hand. Franklin, 1994, 118, and Pl. 85, known only from a photograph, as canvas presumably transferred from panel, as possibly Rosso’s original painting of which the picture formerly in Berlin is a copy (see above). St. Petersburg, Hermitage (formerly). 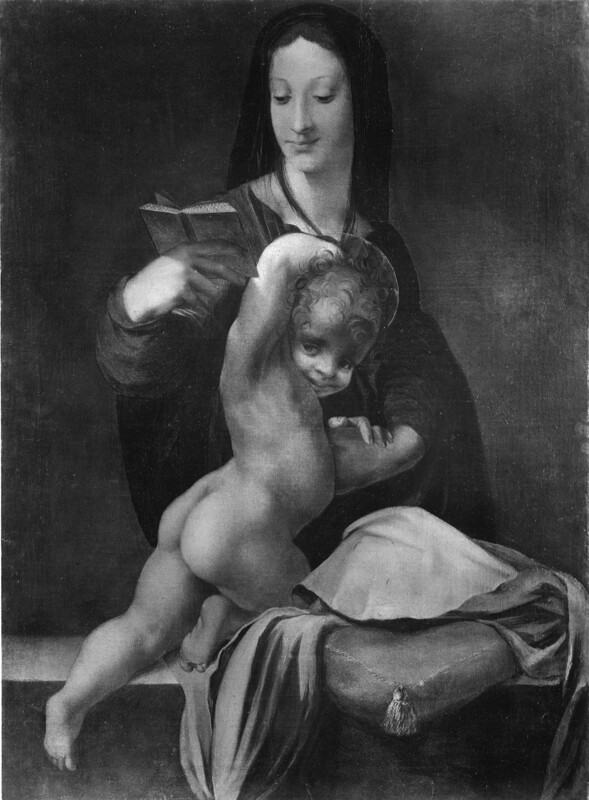 LITERATURE: Milanesi, in Vasari-Milanesi, V, 1906 (1881), 174, note, described a painting with apparently the same composition as in the Hermitage. Goldschmidt, 1911, 51. Venturi, IX, 5, 1932, 231, as Rosso. V. Loevinson-Lessing informed me that such a painting was in the Hermitage in the 19th century and was sent to Moscow in the early sixties (1860s). It is mentioned in the catalogue of the Gallery of Paintings of the Rumiantzev Museum of 1889, but not in the Catalogue of the Pushkin State Museum of Fine Arts to which the Rumiantzev paintings were sent; the picture could be in the store rooms of the Pushkin Museum. 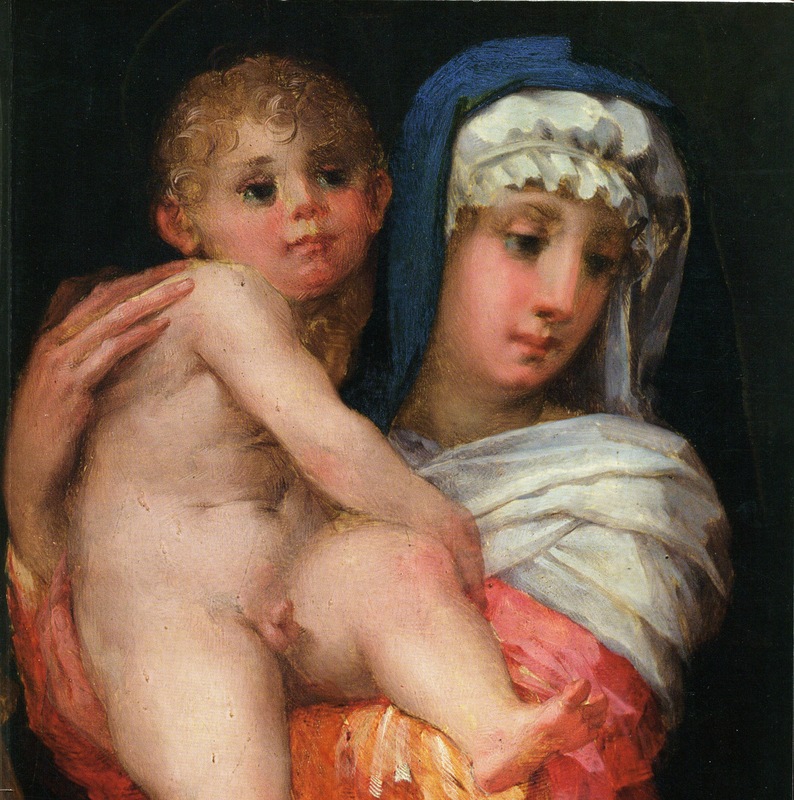 Florence, Private Collection. Mentioned in Barocchi, 1958, 237. It is possible that this is one of the other two versions. Franklin, 1994, 282, n. 115, notes another version with a landscape, sold at the Evangelisti sale in Lucca, 18 and 23 September 1974, lot 494, as Rosso, panel, 65 x 40. From a photograph, the Berlin picture looks very crude in execution; it must be much repainted, as noted by Franklin. The right hand of Saint John is missing. 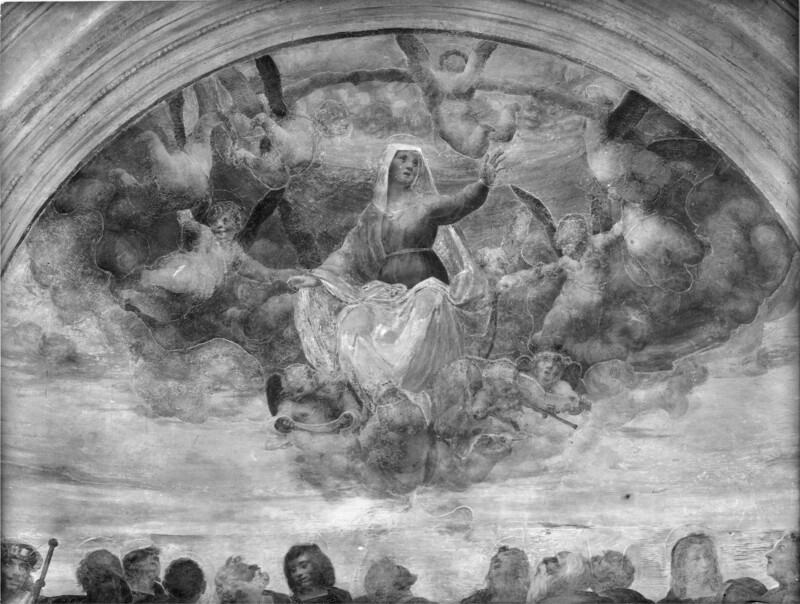 The painting in Norway appears, from a photograph, a picture of somewhat higher quality, but here the right hand of Saint John is very unclear. But the latter picture also looks more chiaroscural, with the smiles and curly hair suggesting a pretty Leonardesque effect. There may be some relationship here to the Holy Family with the Young St. John the Baptist on the market in New York (RP.18). It is possible that the Berlin painting, even as repainted, resembles more the original appearance of the image than the slightly more elaborated picture in Norway. It is very possible that almost nothing of the original surface of the picture is visible. But from what might be reflected of it I am inclined to believe that the painting is later than its assumed date as a Rosso. It could be of the 1530s or 1540s. Salviati comes to mind, and also vaguely Vasari.